Shouldn’t there be a context for this question? Let me give you that. User happiness is measured by how easy is your product/website for users to do what they’re trying to do. Let’s start with a quick relatable question: recall the last payment you made on an e-commerce website. Or the last website you visited to search for a particular information. Was it a breeze? Was it seemingly frustrating? Did you find the information you needed? If you were forced to do unnecessary steps in order to complete a simple task, then chances are you did not have a happy experience. So, in order to make a customer happy, you have to be helpful and human. Why measuring user happiness is important? Not realizing the importance of customer happiness is a huge mistake. As a proven fact, ROI on the happy customer is high and the cost of an unsatisfied customer may lead your business to incur huge losses. Earlier this year, we all witnessed the story of an unhappy customer of United Airlines which has cost them a billion dollar loss. United Airlines is not an exception; many other service/product companies never pay attention to such crucial aspect of customer happiness. How to make sure that users are happy with the service? How to measure user satisfaction and effectiveness of the product? How to measure happiness which users feel while using the product? Well… in order to design beautiful products, one needs to understand what they are making, why they are making and for whom they are making? And, this will be accomplished by putting a user at the center and empathize with them to feel their pain, understand their problem and motivation behind using the product. While designing a product, user happiness looks like a simple concept but soon it becomes far more complicated when we start practicing. When we design products beautifully, everybody wins. When users are able to use a product and solve a real-life problem they become the brand advocates. a. In-App Survey– With this you can simply integrate a subtle feedback link inside your product with not more than 1-2 questions. This is very popular and gets a high response rate. b. Post Service Survey– This way you can focus on the customer satisfaction for particular tasks and service they have just completed. You can ask this question just after the delivery of service when it is still fresh in their mind. This can be done smartly with the rating and comment box. c. Long email survey- Although, I wouldn’t recommend this as this is not a popular method for taking in-depth insights about the customer and has a very low response rate. I love the experience that HubSpot has for taking feedback from the customer. This is one of the metrics which is very subjective and depends on the kind of product you have. If you are in e-commerce business this will be one of the criteria for you to consider as to how often the user is coming back to your site and spending time to buy the product and enjoying while searching or reading reviews. But on the other side if you are measuring engagement for a Utility bill paying website then probably it’s a bad sign. Because here the user is coming to just pay the bill. If they are trying to pay the water bill or phone bill and not able to do that and spending a time to figure out how they can do that, then probably they will not feel very happy about it. Getting a user to visit your website or use your services is tough, and holding them is even tougher. You may get lots of traffic to your website but what happens when the first user will use your product? Are you able to hold them for a longer period of time or they are going to just uninstall the product? Most of the e-commerce business get more than that 50% of their revenue from the existing customer. For building a sustainable business one needs to understand the customer retention rate. This metric will help you to determine how happy is your customer and predict how fast you can grow your business. It’s easy to get overwhelmed with these metrics, and analyzing them might take a lot of time. 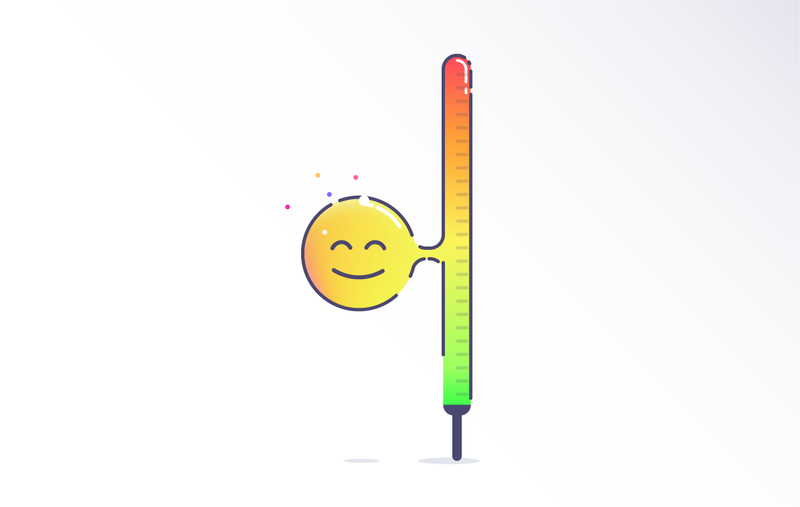 However, by tracking, measuring and assessing these user happiness metrics you get a better overview of how your product is performing in front of the user and discover what areas need improvement. How to perform Usability testing?